This is Bangsar, a very prime township and yet there is double parking all round the areas. 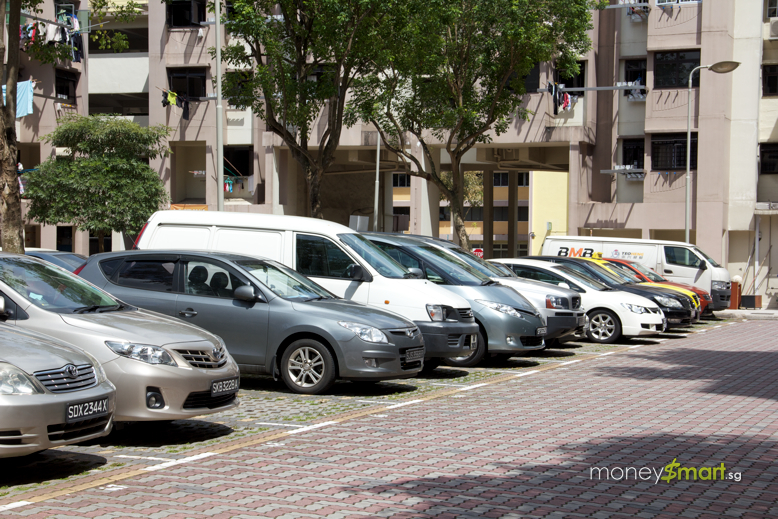 Car owners are not the least be bothered that their cars are blocking others. This black tiny one isn't scared too. This double parking is so common, making traffic difficult to move most of the time. All of us have to bear this frustration, whether we like them or not! They have special parking bays even for ladies. 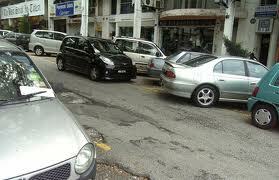 All their cars are by reverse parking, meaning .. their back are always behind, allowing easy drive out when they return. I hardly could locate cars which were parked with their back facing the front. Only those from Malaysia, like me would do that. 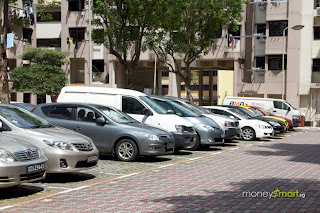 For sure there is no double parking, no Singapore driver would obstruct unnecessary traffic because the penalties are very costly there. Conclusion: Singaporeans are highly civil minded and that's why their Nation is so well disciplined, making their city the safest place to live. High time we have to improve too. I think given the chance, many people just want to leave Malaysia. Anecdotally, many just say that Singapore is safer (and they have 46% of Malaysian migrants!). And this is truly sad because Malaysia is a beautiful country. There are so many pros of living in Malaysia. I think its time to change Malaysia. We need better branding. We need better civic consciousness. We need to be Malaysian and united as one people. We need to be proud Malaysians. This change cannot come from the bickering politicians. It has to come from within. It has to be a people driven movement to reboot Malaysia. A couple of days ago, I was having a post-work drink at our neighbourhood bistro. Suddenly the peace was broken by the incessant honking of obviously disgruntled and angry drivers. 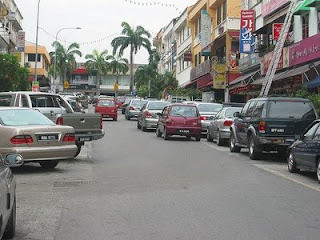 Being the busybody that I am, I investigated the uproar and saw that a Perdana (a Malaysian saloon), illegally parked, was blocking the small side-road where our bistro was situated. The driver finally gave up and drove away. After our brief soiree we passed by the offending car, and saw a note paper slipped in the windscreen wipers. hurriedly scribbled the writer advised the driver of the Perdana to "Guna Otak" which translated means "Please use your brain." 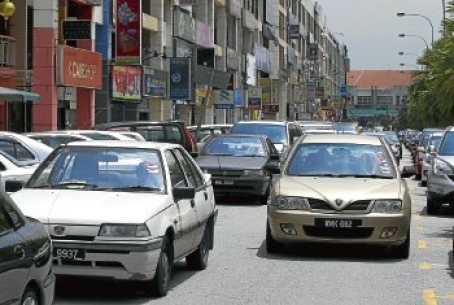 The Perdana driver ought to be thankful for this civic-conscious note of advise. For I have seen other more vigilante-esque reaction to bad parking in my neighbourhood. I saw one old lorry trying to pass by a corner where one car was blocking the appropriate entry. The lorry move forward and backwards, forward and backwards, turning bit by bit trying to get in, but alas to no avail. By that time a small crowd was already assembled and they were egging the lorry driver to "Jalaan... Langgar saja... langgar saja..." (Go on... Just hit the car). Collectively motivated that way, the driver did as he was told and his lorry (already beat-up and ridden with dents and scratches) grazed and dented the car's rear. The crowd cheered and clapped. On another instant, at the very same illegal parking spot, I saw a big municipal rubbish bin placed on top of the roof of a car. How I would love to have seen the look on the owner's face when he saw that creative public shaming sitting on his / her beautiful car! The people who work in my neighbourhood of Desa Sri Hartamas are not mean-spirited at all. For we tolerate and sometimes park illegally ourselves because there is just not enough parking for everyone. But even when you do something illegal, you must be sensible and considerate. Anyway, I have been fined more times for not displaying my parking ticket than for being illegally parked on a yellow line. So at the end of the day, the enforcement unit of our municipality are more concerned with their parking collection than the safety and convenience of road-users. Because really, had they been thoughtful of the needs of the people, they would not have permitted such dense development of this neighbourhood without providing for adequate parking spaces. Before you say that I should take the public transport, let me share with you that Desa Sri Hartamas is one of the least serviced area in my city with only a couple of buses piling this route. It is indeed ridiculous. You work early in the morning... The early bird catches the worm. You are right, the changes have to be within us. I too have to correct myself right from this very minute. Thank you for sharing the truth. One of my most favorite drink is also the Milky Tea, In Chinese they called as Lai Chak. I'm too glad you wrote what you had seen here. Something is wrong at our place. Even when the Singapore's Drivers who come to our towns or on our highways, they behave just like us as well. They too would loose their sense of responsibilities. For reasons, you and me know. Thank you for such truthful comments. I was stuck in a jam to work recently (what's new?) and I saw this Brabus Mercedes driven by 2 men of local origin. I thought ooooh, a Brabus - how much does one of those babies cost anyway? And then I saw ooooh, passenger man unwound his window and threw out a cigarette bud onto the road - it was still smoking away...My final oOOooh thought about the man with the man was "Oooooh, big car could mean big money could mean big career/business but sure as heck doesn't mean big socio-consciousness" And I can just imagine what will continue to happen if there were children in the back seat. Sigh! It will never change will it? A little further down the road, I saw again this giant truck thing - ummmm....like an Arena but more tough/manly...HAhhahhahah (yeah I know my luxury cars but not my trucks - except for the ummm..., what is it now....the Triton), where the driver, stopped at a light, opened his door and spat out onto the road. I didn't expect much different from a man driving a truck like that (I know kinda stereotypical huh) but it just goes to show - no matter what strata of society you may be from - civic consciousness doesn't come with it. 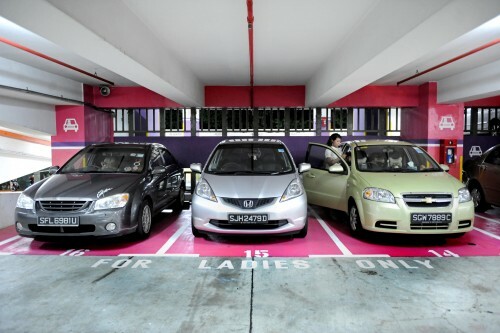 Some people talk about Women Only Parking in malls. We are assuming the criminals reading the sign board will not commit crimes in the Women Only Parking areas, right? If they are so civic conscious, would they be robbing people? What about men? Men don't get attacked by criminals? I heard of the case of a martial arts guy (a big guy) running for his life from armed robbers. So, we should also have Men Only Parking areas in malls as well? Isn't it a better idea to just ask the malls to increase overall security for ALL? Wah! Though you work with the bank, and yet you could see and experience so much on the road. So nice of you to share those true stories from your side. I really enjoyed the way you wrote them. Thank you so much. Looks like you are an expert on crime issues. Wish our Government could do something to resolve this serious problem facing our country. Thank you for the comments. Generally it comes with the education level achieved! Certainly not measured by what vehicle he drives! !